Using medicinal mushrooms in the form of teas and tinctures is one way I stay on top of my game, especially during the winter. One of the active constituents of Chaga is Vitamin D2 (Ergosterol). The best way for your body to absorb vitamin D is by getting between five and 30 minutes of sunshine at least twice a week, but if weather doesn’t permit, Vitamin D2 can reduce a vitamin D deficiency if taken regularly. Chaga is also a natural BRM (Biological Response Modifier). It not only stimulates the body’s immune function when necessary, but can also slow it down when it’s overactive (in the case of allergies and many auto-immune diseases; e.g. lupus and psoriasis). 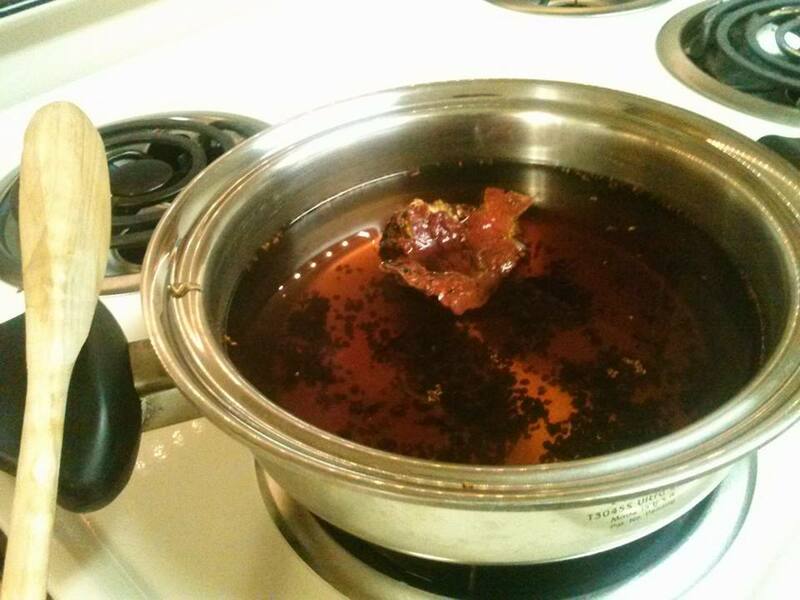 In short, it will normalize the immune function, which classifies Chaga as an adaptogenic. The beta-glucans appear to be mainly responsible for that property, but many researchers believe it is actually the synergy between several, if not all constituents that is responsible for the full range of this adaptogenic. Apart from that beta-glucans, part of the polysaccharides in Chaga, also have a positive effect on the normalization of cholesterol levels and blood sugar. Research showed betulinic acid (a compound unique to Chaga) to be able to break down ‘bad’ cholesterol in the bloodstream. By normalizing those levels Chaga contributes to lowering high blood pressure and promotes a healthy cardio-vascular system: less plaque, stronger arteries. I get my chaga from Raw Revelations.